After eight days in Ireland and N. Ireland, Mr. Selfish and I finally made it to Croatia. We met up with Cousin Selfish, who is coincidentally also a Game of Thrones nerd, in Zadar, Croatia. We stayed a couple of nights in Zadar and visited Plitvice Lakes National Park before heading to Split, Croatia. There wasn’t too much GoT action until we left for Split though, but that’s when things got real. 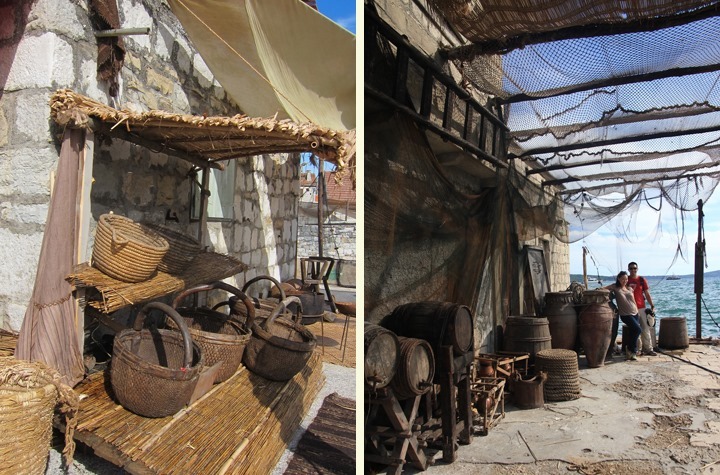 On our way to Split, we stopped by Kastel Gomilica since I had read online that they were preparing a filming location for Braavos there. We parked the car near the beach and started walking. We didn’t know where the set was but we could see a picturesque building from afar so we started walking in that direction. Update: After having watched Season 5 Episode 2, this is indeed where Arya Stark lands in Braavos. 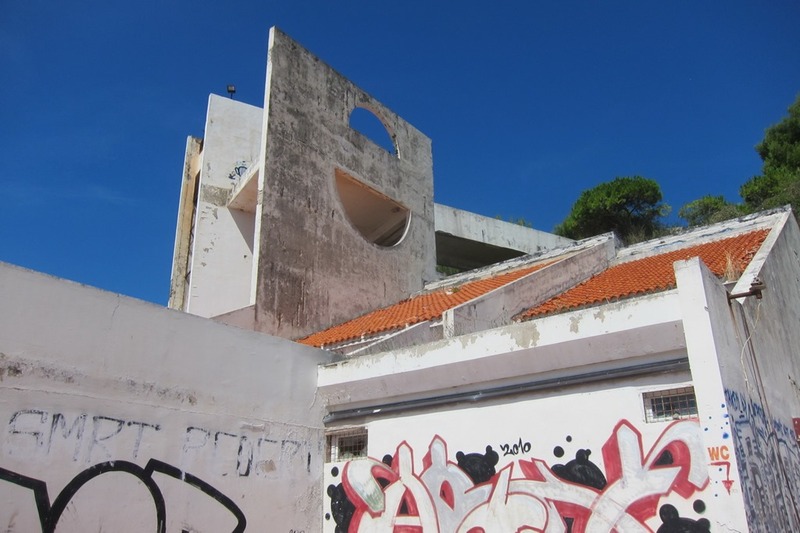 Soon enough, we came close to the picturesque building and knew that we had found Braavos. Mr. Selfish, Cousin Selfish, and I started taking photos immediately. 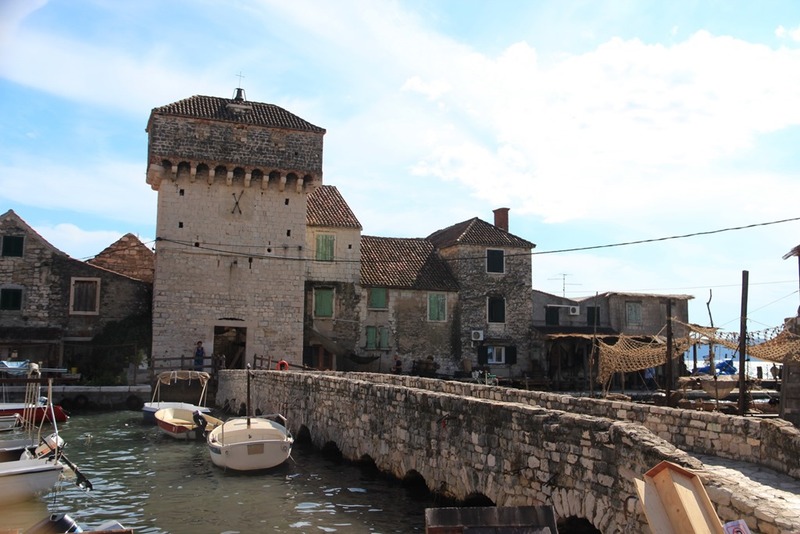 But as soon as we crossed the bridge, a security guard (i.e., burly Croatian man) quickly told us not to take any photographs. So we did what anyone would do – nodded, walked away from him, and proceeded to take photos. Mr. Selfish and Cousin Selfish both have DSLRs, so they were much more of a target for the guard. The security guard followed Mr. Selfish around relentlessly. I guess he looks like more of a rule breaker than me. I was left mostly alone since I had my little point and click and managed to snap most of the pics below. Cousin Selfish, who also looks less like a rule breaker than Mr. Selfish, also took some nice pics. 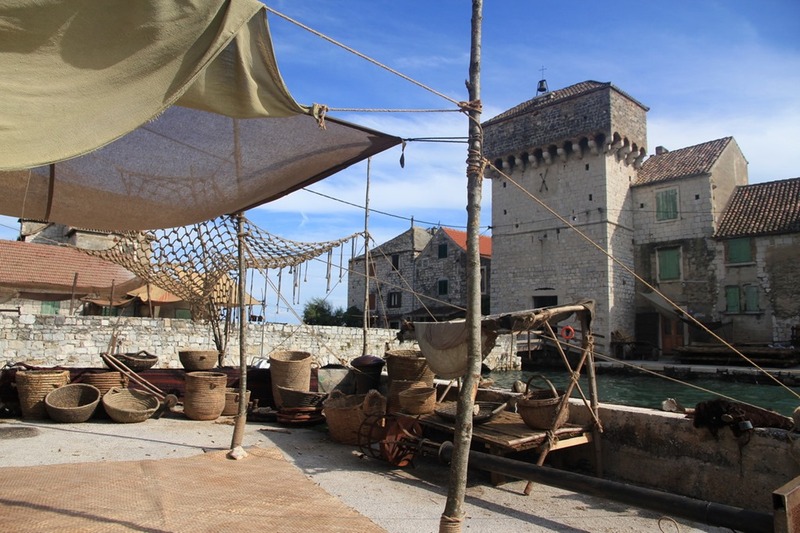 Update: The Kastel Gomilica was setup for Arya Stark’s arrival, with tons of props. As you can tell from the screen grabs, however, the crew still had a ways to go after we left. It was pretty cool to have seen Braavos in person! Hotel Zagreb: Dorne? Braavos? It’s unclear, but it was awesome. I also learned from this blog that the film crew was preparing a new filming location outside of Split at an old hotel, Hotel Zagreb. We decided to stop by on our way to Dubrovnik. 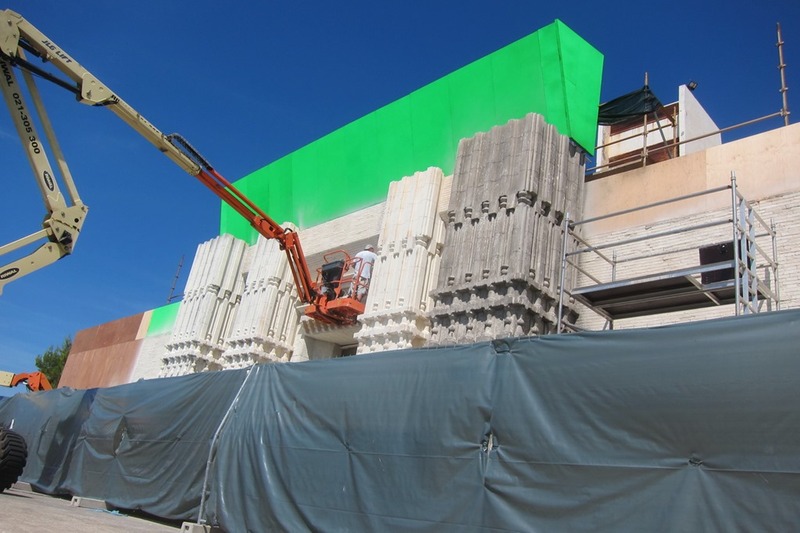 We quickly found the set as it was right on the water with a huge green screen. Update: It turns out the mystery building is the House of Black and White in Braavos from Season 5, Episode 2. Looks like the crew just built the bottom section then CGed in the remainder of the building. Once again, the security guard decided to focus on Mr. Selfish with his DSLR and left me to my own devices. Little did he know that my point and click would take so many photos. Muhahahaha. 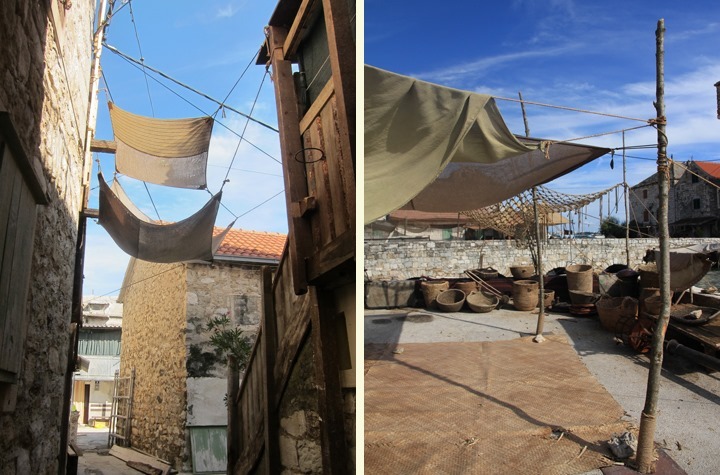 It was interesting to see the base of the House of Black & White in Braavos. HBO is once again utilizing amazing CG effects. Mr. Selfish, Cousin Selfish, and I spent two nights in Split, which is an incredibly beautiful city. Picture – ruins, cobblestone walkways, and narrow alleyways. 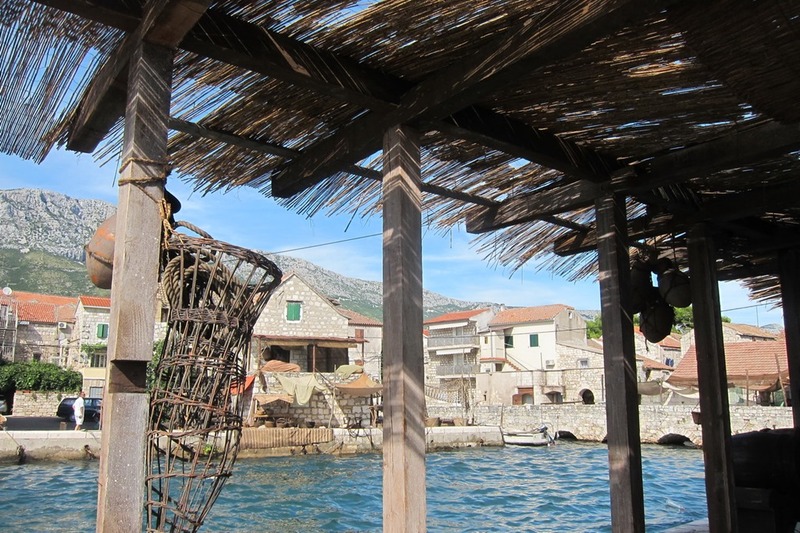 It’s easy to see why HBO films so many scenes in or around Split. 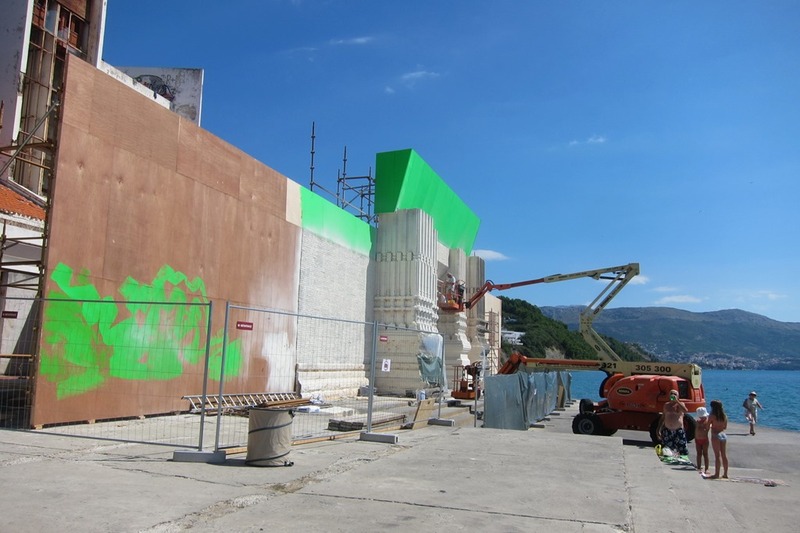 Split was a filming location for Meereen, the city Khaleesi currently rules with an iron fist, and where she frees the slaves and kills the masters. It’s hard to pinpoint some of these scenes, so we went to the tourist information center to see if they could help us. They were quite familiar with the drill and pointed us toward the alleyway where some of the masters got their just deserts. As a point of reference, this alleyway is right outside of the Muzej Grada Splita. 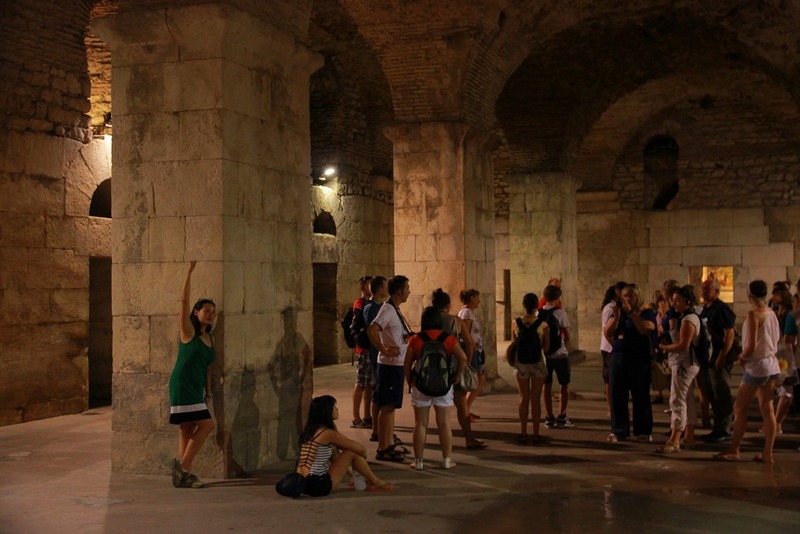 Finally, we went into Diocletian’s Palace in Split. 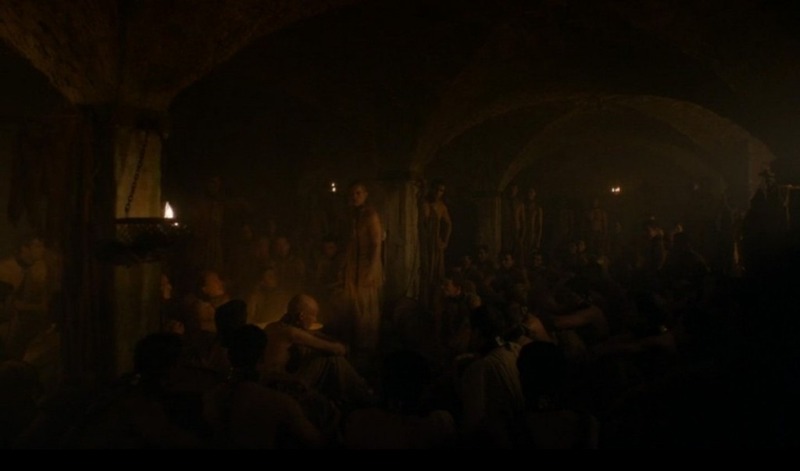 The basement of the palace is where the Unsullied, on behalf of Khaleesi, convinced the slaves to revolt against the masters. There was some serious CG going on for this scene. 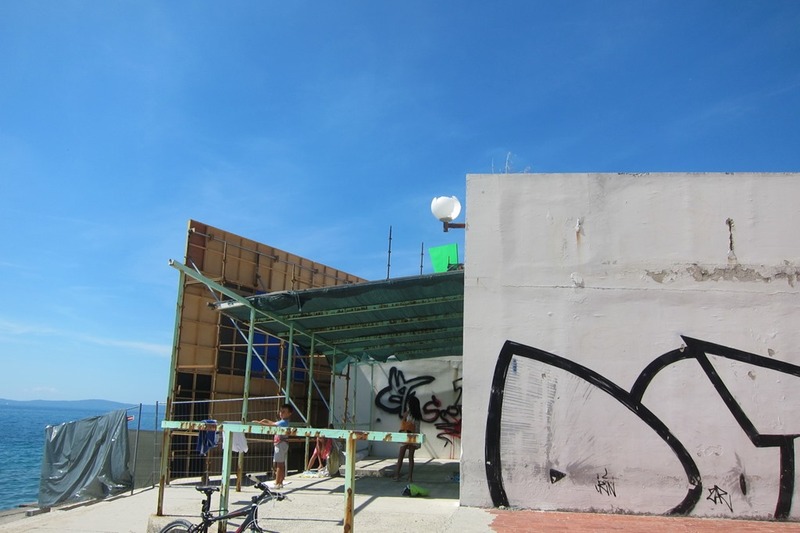 We couldn’t figure out how HBO made the space look so small. 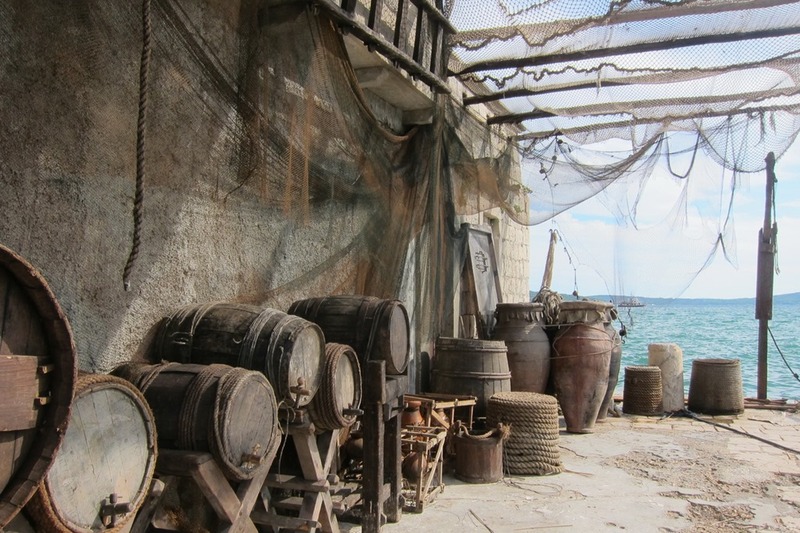 In any case, this is definitely where that scene was shot (as confirmed by the palace staff). 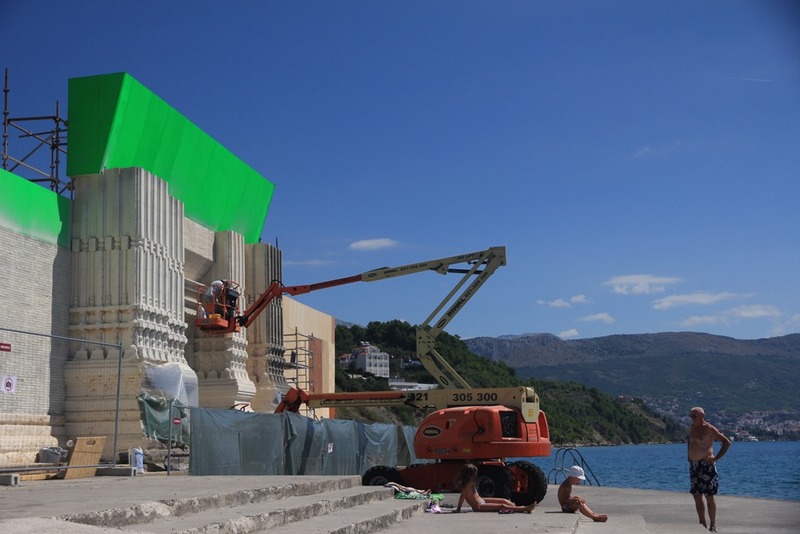 Update: The Son of the Harpy’s scenes were also shot in Split. 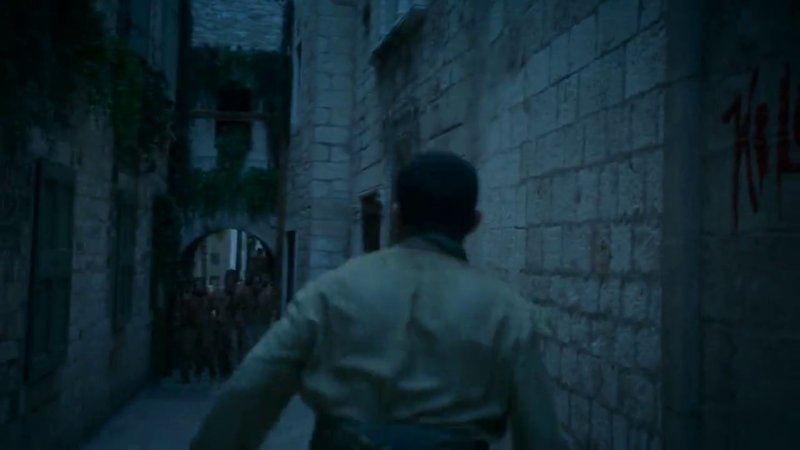 Below, Sir Baleester fights in the Dicoletian’s palace, while some of the unsullied are slain above ground in Split. 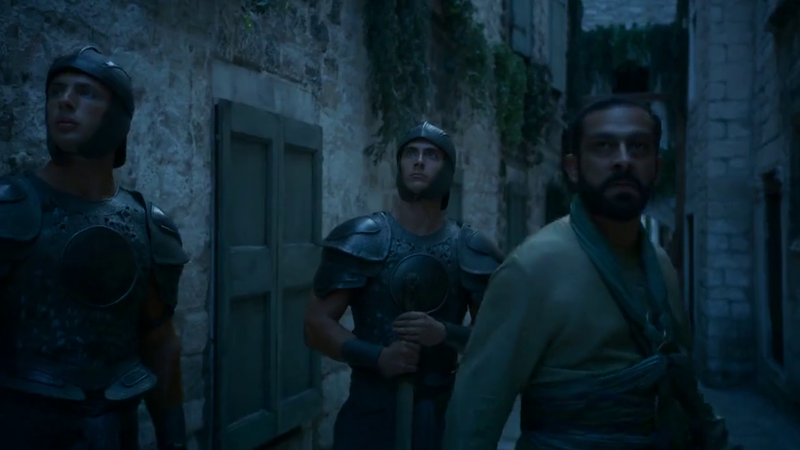 Next up, Mr. Selfish will go over our reenactments in Meereen, aka Klis Fortress.